A comprehensive epidemiological diabetes research will cover different groups of the UAE population to discover various parametres and facts behind the alarming prevalence of the non-communicable disease in the country. The Ministry of Health (MoH), in tandem with University of Sharjah, has launched the national diabetes surveillance study on Thursday. An agreement has been signed between the MoH, the provider of diabetes management solutions and the university's College of Medicines and Health Sciences, the academy that is involved in the research. "The first extensive national diabetes study will sketch out the actual prevalence of diabetes in the country, and acknowledge the risk factors and complications as well as familial and genetic factors associated with diabetes in the UAE," said a senior health official. Dr Mahmoud Fikri, Executive Director for health Policies at the MoH, said, "The scientific research will accumulate the complete knowledge on the present status of the disease authentically." "It will recommend action plans to be implemented to prevent it, and the best ways to improve the total health services for both the UAE citizens and expatriates. The MoH has been working on the project for a long time, as the UAE has emerged as the largest diabetes prevalent country in the world," he added. According to him, both academic and medical community will meet the requirements of the local community to combat the basic health threats related to the disease. Once the study is completed, the strategy and plan of action will be implemented to control the prevalence of the diabetes. Professor Samy Mahmoud, Chancellor of the Sharjah University, said, "The study, to be completed within a year, will analyse various aspects of the disease such as genetic background, pace of the prevalence, family study, cases of both males and females, dietary habits and management of the disease." 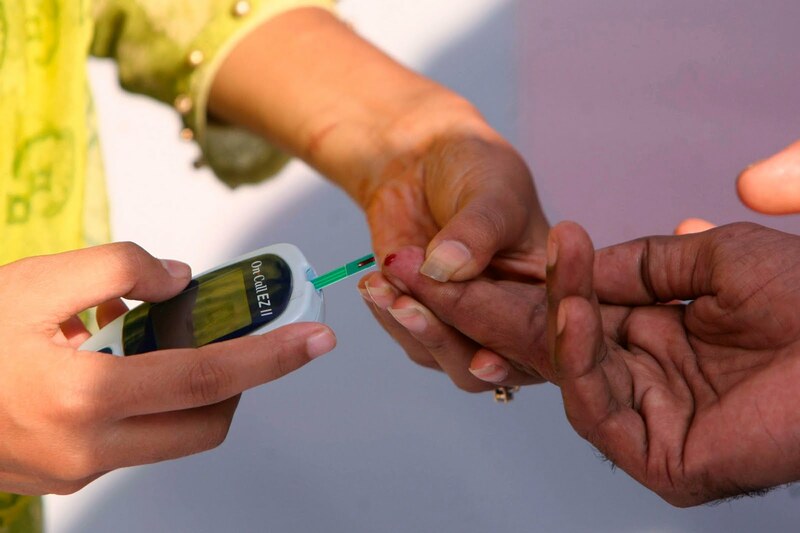 "The country's diabetics in different age groups, including children and adults, will be subjected to the study through various health ministry centres, hospitals and local health authorities across the country," he added. "Once result of the study is revealed, the authorities will be able to identify effective treatments, medication, diet for a meaningful management of the diabetes in the country," pointed out Mahmoud. According to him, diabetes risk factors related to lifestyle in the country also will be studied, in addition to identifying children with the risk of diabetes. Dr Nabil Suleiman, Co-ordinator of the Diabetes Epidemiological Research and Head of the Family and Community Medicine Dept at Sharjah University, said, "The research will be based on a random sample of the density of the population in each emirate." "Eight senior researchers will be part of the study team from Sharjah University, in addition to 30 data collectors from different health centres across the UAE," he added. "Lifestyle and ethnic factors related to diet, physical activity and stress will be monitored during the study, to be conducted as per international protocol of the best quality," he noted. International Institute of Diabetes Study, Baker Research Institute in Australia and INSERM, the largest medical research institute in France will support the epidemiological diabetes research. "The agreement with the Sharjah University last for five years to be renewed for a similar period of time," said Dr Fikri. "Diabetes healthcare professionals will be trained specialising in preventive care and treatment with the support of Australian and European universities," he added. "Compared to the previous studies, results of the national diabetes epidemic study will provide a national accurate database on the disease for developing strategies, plans and programmes to fight the disease effectively," explained Dr Fikri.